Get Sticky Password Premium 8 Free Full Version License Key – There are so many usernames and passwords to remember that you’re at a risk of forgetting the less frequently-used ones and locking yourself out of important accounts. You wont want this happen – use Sticky Password Premium. Sticky Password Manager is an intelligent form filler and password management program. 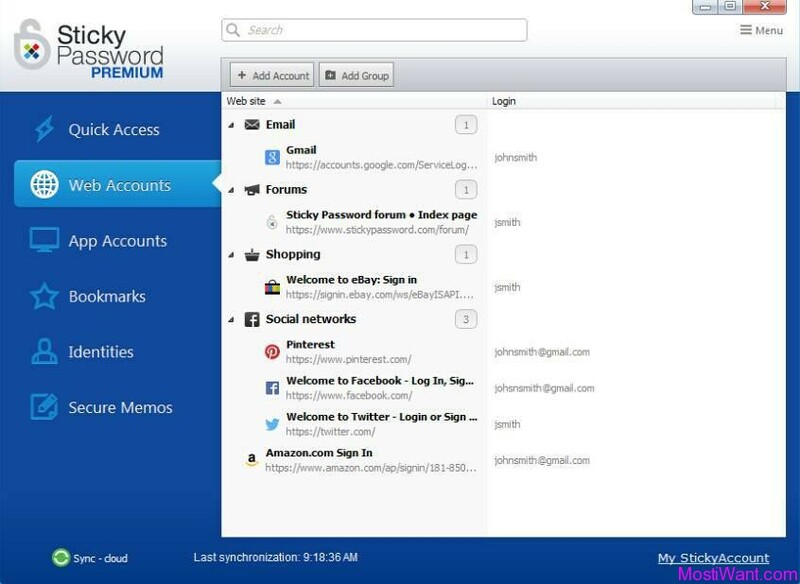 Unlike other password managers, that just used to keep and recall passwords, Sticky Password integrates password management features to any program on your computer including Internet Explorer, Firefox, Google Chrome and more, so your passwords and data are always ready when you need them . 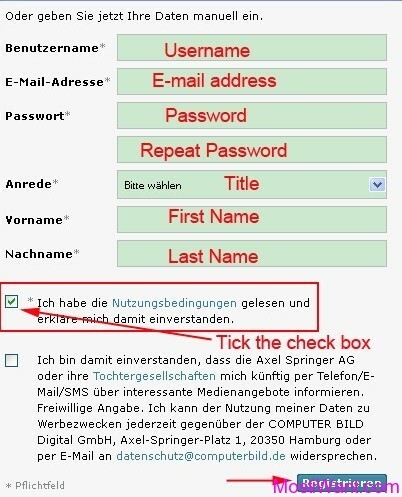 Automatically creating strong passwords, storing them, and filling web forms can be achieved by using this program. No more lost or forgotten password! Your Master Password is the only password you’ll need to remember. Sticky Password Premium incorporates the industry’s most powerful encryption algorithms and provides effective protection against phishing schemes, concealed key-loggers and identity theft. 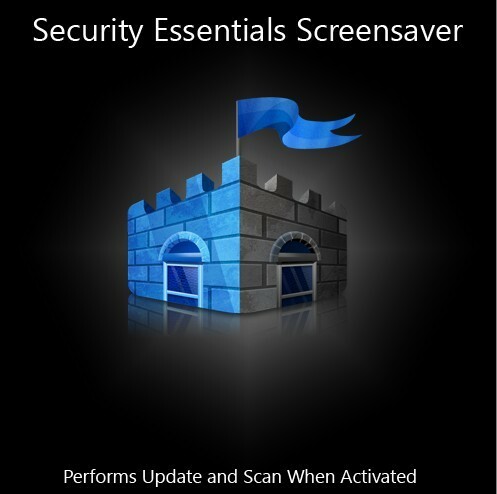 Its password protector keeps a close monitor over how the passwords are used on your system so that key logger and Trojan-horse attacks are kept at bay. In addition to managing and encrypting your passwords, you can now use the new Secure Memos to store even more of your important data in the secure encrypted database. If you’re like most people today, you have multiple devices that you use to connect to the Internet – computers (Windows & Mac), tablets, and smartphones, and you need to have access to your passwords and data on all your devices. 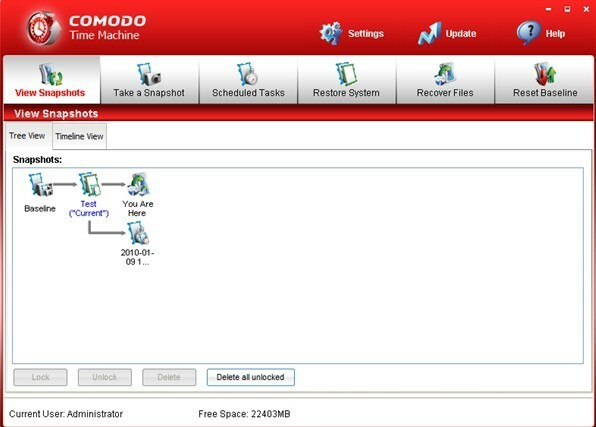 With Sticky Password, it’s easy to securely backup and synchronize your data using cloud synchronization. Alternatively, if you are wary of cloud storage, you can take advantage of synchronization over your Wi-Fi or local network. And with Sticky Password – unlike other password managers – all your data is always encrypted locally and stored on your devices. Sticky Password uses AES-256, the leading encryption algorithm in the world to encrypt your data. Password safe – organize and securely store your passwords in whatever way works best for you. Password generator generates a new password automatically whenever you need a new password. Automatically fills your logins and passwords to appropriate fields on given URL and even in Windows applications. One click logs you into any of your favorite sites and applications. Automatic form filler completes even the longest forms for you. No need to register every time you shop or download – once you’ve stored your information in the password manager, you can recall it instantly on any device whenever you need it. Fingerprint scanning – identity verification of the account holder can be made with just one swipe of a finger. AES-256 encryption – the world’s leading standard also used by the military. And your master password is not known to anyone else but you – not even to us. Sticky Password works across all devices – on your PC, Mac, tablet and smartphone. Windows, Mac OS X, Android and iOS operating systems are supported. Synchronization via our cloud servers – only if you want. The synchronization can be made over local Wi-Fi or manually so that your encrypted data never leaves your devices. There’s an encrypted password database backup available for you in the cloud in case you lose your device or data stored on it – only if you want. You don’t have to synchronize only via our cloud servers. The synchronization can be made over local Wi-Fi or even manually so that your encrypted data never leaves your devices. Sticky Password Premium 8 is normally priced a $19.99 per one year serial number / license key. But Bitsdujour are having a giveaway of Sticky Password Premium v8.1.0.112, where everyone can download a one year full version copy for free. Go to the giveaway page here, and click on the “Get It For Free” button to get your free serial key & download link. Download Sticky Password Premium 8 and install it. Use the serial code to create a Sticky Password account during installation. For programs already installed, you can activate the full version serial in “Menu> Settings> My StickyAccount”. Please note: the software provides a 1-Year 1 user license. You must activate your Sticky Password Premium license by November 9, 2018! After activation, you can also install applications for Android and / or iOS, mobile devices. Very glad to see you back and, seemingly, being well. Thank you Ioannis, have a great day. Thank you for this great apps! It’s very kind of you to load this article! Thank you both, William and comss.ru, for the great giveaway. Amazon Store – Software Giveway (90$) from today. Hi CM, thank you for always supporting me and being so kind! I really appreciate it. Have a nice day! There has been no “drive selection” yet, only Language, “Thank you” and EULA windows. Suggestions ??? Dear ERNEST, sorry but the offer is still working. Why not just got one yourself? i got the key4days before and activated.but now its say trial finished get the pro version.i paste the key i got.and hit activate pattern,it says ‘your sticky password already activated’.but still its trial version. It seems that your license has been blacklisted by Sticky Password. Till now, my copy still works fine. Let’s see if my license will be disabled on further online updates or not. If you like, I can sent a new license which I just applied using a Czech proxy server. However, there is no guarantee that this new key will work for you and also no guarantee that it will not be blacklisted in the future. At last I sincerely apologize for any and all inconveniences we may have caused you. Have a lovely day! Followed the process.Submitted the coupon code.The site takes you on the next page quoting the price and asking for methods of payment giving various options.This is causing confusion about authenticity about the deal? Please advise if it should be the case to part with credit card details.Doesn’t sound genuine giveaway. Hi Ravi, It does not require any payment info. Make sure you have entered the right Coupon Code (the one download from softpedia.com: SFPDGA-954F23-2A5DF2-337ADB). Anyway, I have sent you a license key for this software. Please check your email for it! Thank you for your interest in Sticky Password. but we have a very special promotion for you today as well. @Chris, This software was available as a giveaway on February 25, 2013, this giveaway is not available any more. Hello everyone, this is Sticky Password talking to you here. We are very glad that our product has gained such a popularity lately, listing on hundreds of sites overnight! This “giveaway” is actually a special offer for our partners in a Russian magazine called Computer Bild. We have worked with them closely on this campaign and offered a one year license just for the readers of the magazine. Since the coupon has already spread all over the Internet, it kills the exclusivity for them a bit, but we decided to include everyone into the giving effort from Sticky Password and are giving a free Trial version and also an awesome discount for our PRO license. That is what you will find on the pages that you visit form here. Thank you so much for your interest in Sticky Password and let us know if you have any questions! Thanks for the Great giveaway! 🙂 but what will happen after one year? Will the present passwords be the same as now? @gigi, You can export your passwords and other data, or you may pay for it, I guess. You are correct, sorry about that ! This is for version 5, not version 6 ! @Jim, They will email you free license key for Sticky Password Pro 6, although the giveaway page says 5. And I have tested and verified the license on version 6. Check out your registered e-mail for more info. Based on the data submitted to us, we are pleased to send you a License Key for Sticky Password 6.0. Please, keep this License Key in a safe place as it may serve you in the future for support or product upgrade or reinstallation purposes.